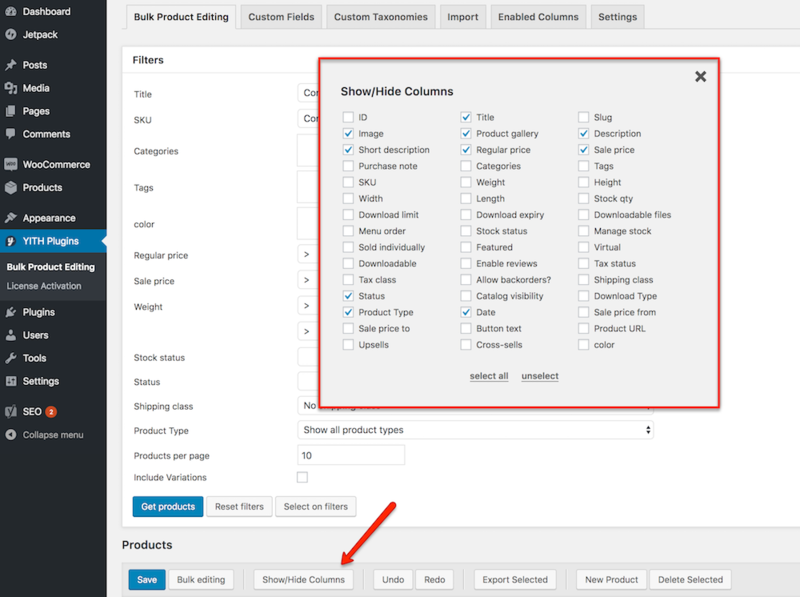 Click on the “Show/Hide Columns” button to select all fields you want to display in the table for each product. Here you will only find the list of fields previously selected in “Enabled Columns” section. The table will contain all those fields you have selected, and each of them will show the correlated value for each product (if already set). Click on the field of the product you want to edit to add a new value. 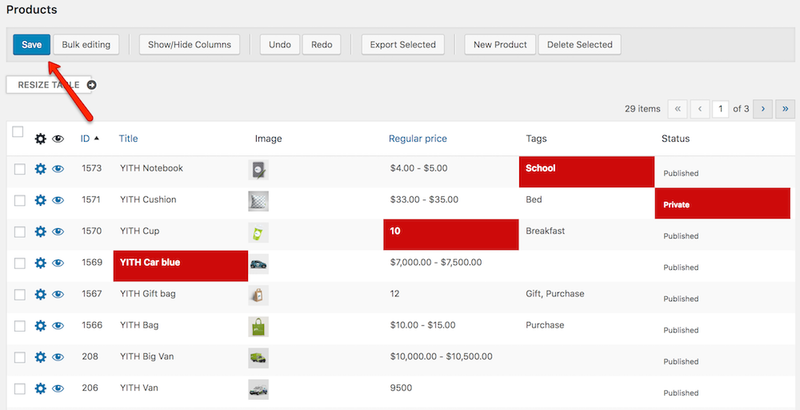 If you have changed different products in the table, you will see something similar like the image below, with each edited values in red. Note: all changes will be saved only after clicking on the “Save” button. You can also edit the single variations of your shop. Activate the variations and these will be visible in the table, just like any other product of the shop.